Spring is at the door step and soon there will be summers with the burning sun and rising temperatures.Yup..sun screens, cotton clothes ,swim suits, refreshing drinks and freezing ice creams will go high in demand..though there are a numerous collections to add on, but how about a truly healthy ice cream!! Cilantro acts as a main purifier for our kidneys ,has anti oxidants,rich in fiber that decreases the LDL (bad)cholesterol and increases the HDL levels (good cholesterol levels).Also rich in minerals like iron,manganese,potassium and magnesium.Very goodsource of vitamin A and Vitamin K.For more health benefits of cilantro, read here .So,friends now that you know the vast health benefits of cilantro as a herb, this ice cream was a totally new experiment,but to my surprise it was worth a try and very healthy too.As far as the taste is concerned,It has a mild aroma of cilantro n in taste no much difference,Kids really got to see a new color in ice cream.Try n enjoy the yummy ice cream!! -Wash and chop the cilantro ,add it to a blender with 2tbsp water.Grind it coarsely & strain the mixture in a strainer and obtain the pure juice of cilantro,discard the waste. -Keep a glass bowl in the freezer for 30 minutes.Remove from freezer,pour the chilled whipping cream and whisk till it starts to form light peaks and doubles in volume. -Add the condensed milk,pureed cilantro juice and sugar,whisk again till stiff peaks. 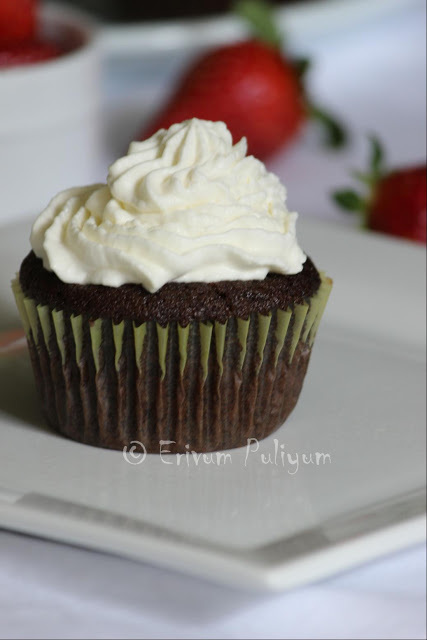 -Pour it in a airtight container and freeze for 6-8hours. 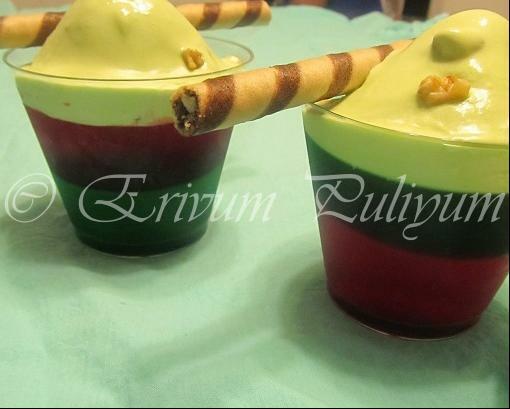 -Scoop and serve chilled by garnishing with walnuts !! *Use of walnuts is optional as it tastes good otherwise too.Or you can use chocolate chips as well. *You can add 2-3 drops of green color to enhance the look.I have not added any color,the natural look!! 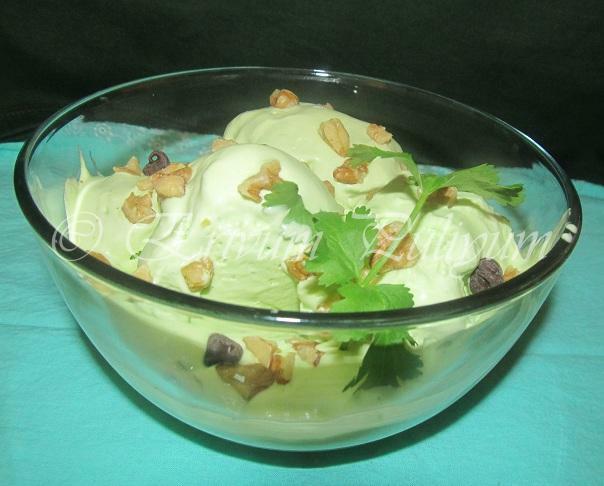 wow...cilantro ice cream...very innovative dear ! This is a new kind of ice cream for me. The green color looks inviting. omg! cilantro ice cream!? i can't even imagine. this is very unique. Wow...Julie u Rocking! 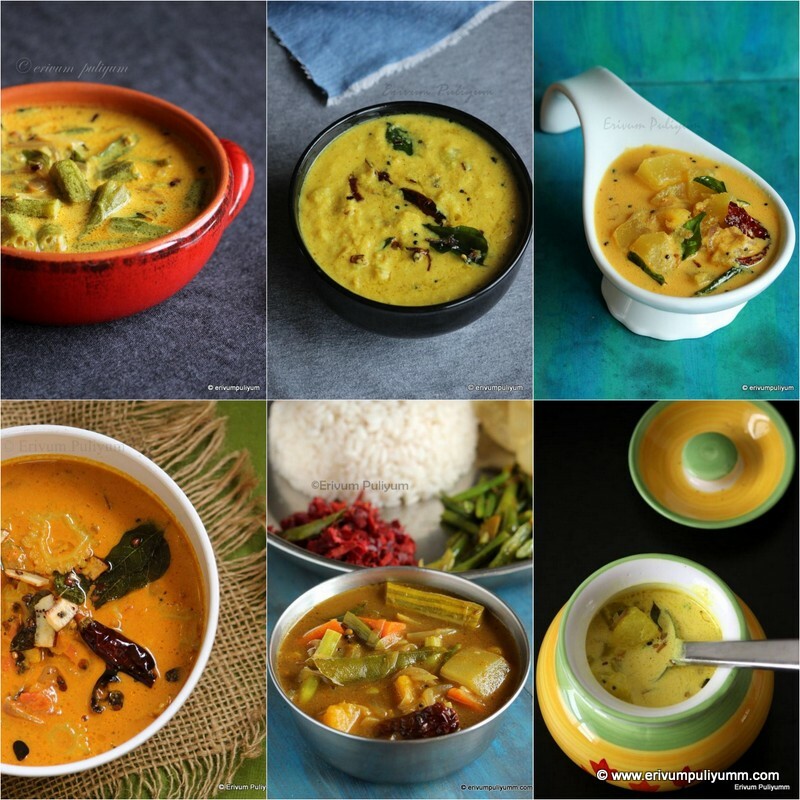 Very innovative recipe dear...sounds so so refreshing n yummy...Thanks for sending it to Summer splash...love it! Julie, this is a new one, tasted mint ice cream , who wud have thought of ice cream with cilantro, looks superb dear, very very innovative.. Hats off to your creative recipe Julie!! I've never heard of this before. Great recipe!!! very interesting. Never thought of this ingredient in ice cream. What a Creamy,Flavorul n innovative try Dear. 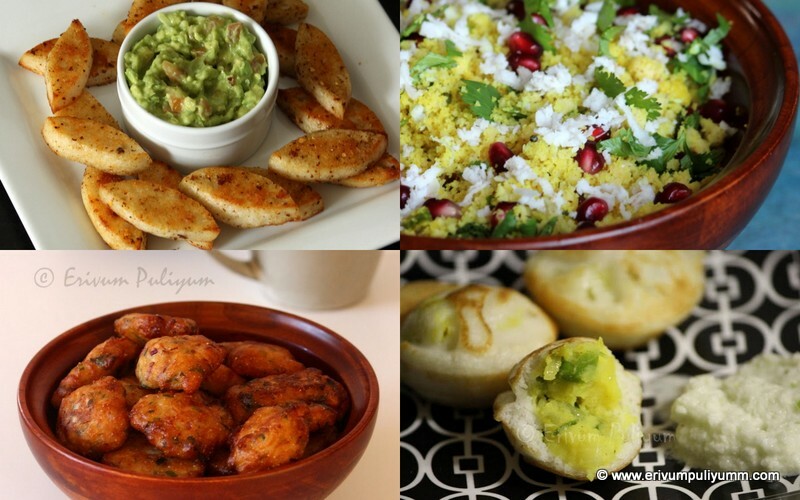 Fabulous recipe!.Luv it n luks Yumm! Julie, the ice cream looks refreshing. cilantro is totally a new flavour I wonder how it would taste! BTW which is the low fat condensed milk.I have seen only one from many many year and the other one is evaporated milk, Are you talking about that? Wow..That is an very interesting recipe - I wonder how does it taste! It tastes just like other ice cream just that it has a very mild flavor of cilantro. Never heard of adding cilantro to ice cream before...very creative! Awesome!! You are like the cilantro queen! YUmmmmmmm.. Looks awesome. love the pics! Ice cream looks so tempting. Wish you happy Holi!!! Somthing very new to me.....Looks sooo yummy!!!! 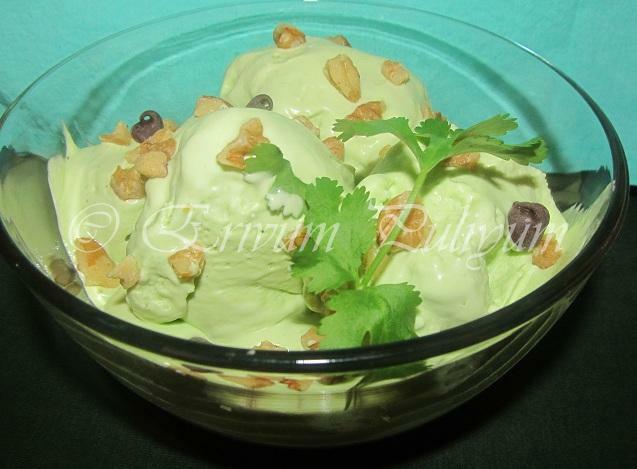 That's such an innovative idea..to use cilantro in ice cream....I simply love the color of this ice cream. wow very summery icecream with the taste of cilantro! never thought of an icecream with cilantro Julie..looks really yummm..
Gosh, an ice-cream with cilantro!! Hi Julie. This is definitely a new flavor for me. I know of mint leaves in ice cream but cilantro? wow..must have tasted good. What a lovely idea, looks fantastic without artificial colors. Lovely idea. Never tried a herb flavoured ice cream before. I love ice cream any time of the year! Looks tempting! Julie thanks for sharing a unique icecream.Love the idea. I've heard of cilantro ice cream, but never seen it before. Your recipe looks absolutely incredible. Great job! You are creating wonders Julie! What a superb idea to mix add the cilantro in ice cream! Thumbs up! What a fantastic flavor and color! Wow..what an unique flavour! I bet that tasted great and refreshing! 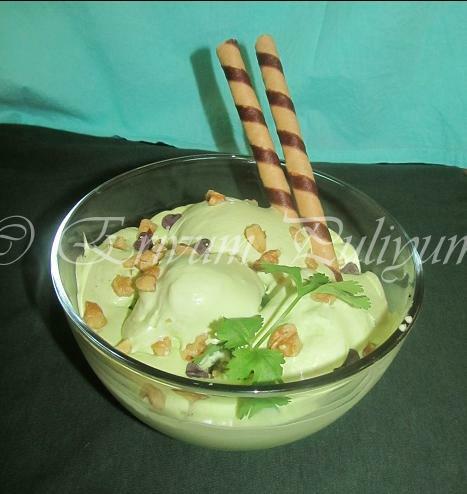 Cilantro ice cream...never heard about this before..very innovative indeed..love to try this soon. Great idea, lovely colour and tempting! ..Thanks for dropping in my blog and reminding me of the followers widget. Do come back again. 3 Cheers to this new ice cream,Juls..Must try this..
very innovative, lovely icecream and nice colour..Thanx for linking it to my event. innovating idea dear..i had this simply super..